It turns out that I had uploaded some photos for a future post just before the surprise attack on my hard drive which is why I am able to publish this post without the use of my own computer. Pitiful whimpering going on here. There's been some talk about some of the "firsts" here at Hoe & Shovel this spring. One of them being our very first veggie garden thoroughly challenging our abilities to grow from seed and to nurture to maturity the veggies we chose to plant. Another 'first' being the online purchase of bare root day lilies and cardinal flower. More on these in future posts. Today, the 'first' we are featuring is the seed sown zinnias we put in the ground this spring. 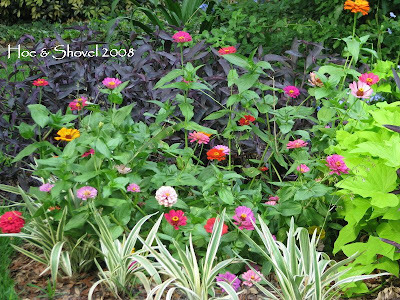 Hard to believe I realize... but I just hadn't thought too much about zinnias in years. They just gave me that oh so, common feeling. Although last fall I planted a few dwarf zinnias purchased from the garden store and remembered how cheery the colorful flowers turn out. So what's wrong with common? Absolutely nothing if it is a great performer. Certainly not because of anything special this gardener has done... the zinnias have been blooming their pretty little heads off for weeks. And truth be told, I just can't get enough of them... common and all! 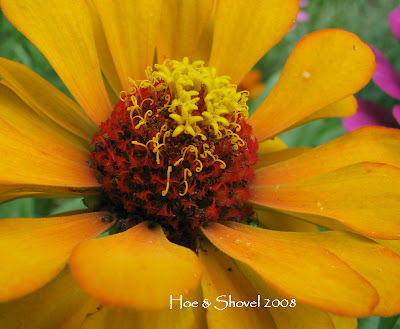 The seeds for zinnia are not buried in the medium but instead placed on top of the soil and patted into the ground. Watering lightly follows. Within a few days there are a jillion little green leaves poking out of the soil. Watering continues while the plants are developing. Before you know it... there are tall leafy stems with buds forming. 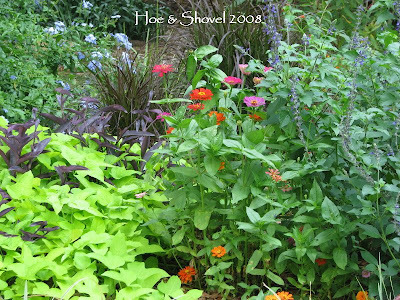 In a series of unfurling gladness, from this wildflower mix, there appears a sunny array of petals in many forms displaying every color of the rainbow that would make any gardener feel successful. Once they are mature, they cheerfully enjoy the heat and drought we are having here in Florida. Who could ask for more? (Well, I could ask that the IT guru can retrieve my photos from my crashed hard drive... but that's another story... yes, still whimpering). I put zinnia seeds in three separate locations in the back garden. My only regret now is that I wish I had sown them in more places or at the very least I wish I would have sown more of them in the spots I DID choose. Back in March when I direct-sowed the seeds (because I was too lazy to start them in containers) I had no idea how well or not-so-well they would grow. It was experimental at the time... which does kind of add to the fun of it all... don't you agree? There are so many varieties to enjoy with each one seeming to smile happily in the bright Florida sunshine. With a little bit of dead heading each day and now that I've staked the tallest ones up, they have readily moved to my list of favorite additions and turned into one of the bright spots in the back garden. Shown above, they blend in nicely with the fountain grass, plumbago, indigo spires, lime green potato vine and purple queen as well as several more perennials behind them (not shown in this photo). As a side note: if all goes well the Crocosmia bulbs (another first) I planted in front of them will actually decide to bloom on the greenery that is just recently popping out of the ground. 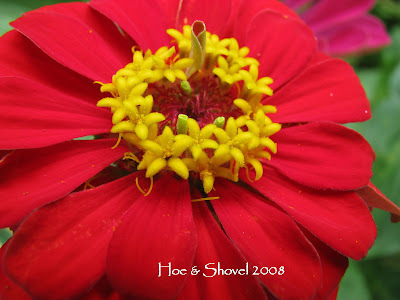 Admittedly, I didn't realize there were so many varieties and colors of zinnia. It has been fun to cut the individual blooms and make bouquets to bring inside. It's a pretty certain fact zinnia will be an annually seed sown flower at Hoe and Shovel going forward. I'm even thinking I'll sow them again in September for our fall/winter growing season. Any flower that can withstand our heat and humidity for months on end is a sure winner. Common yes, but happy in my garden with little maintenance and it gets added to the list of must haves. So it makes me wonder.... Do you grow zinnia? Are you thinking they are common, too? Does common matter to you? Hi Meems......Zinnias, beautiful plants and quite difficult here. I grow them every year.....putting the seed in pots, around March, and in a heated greenhouse. They were planted in the garden around mid May, and have just developed buds. A lot of hard work but I could not be without them. cheryl: Gee, what an eye-opener to the process others might have to go through to get zinnias...I honestly didn't realize. I'm sorry... I haven't hardly started to whine about how hot it is yet because it's just getting into the dreadful temps ...all week it has been in the 90's... how could you be envious of non-stop heat AND humidity? It doesn't even cool off at night here during the summer. Right now I am envious of your rain... it's always something isn't it? Meems I just love zinnias. I plant them some years. Some years I forget to. Yes, you read that right. I forget to put seeds into the ground before it gets too hot here for them to germinate well. This year it was too wet and cool for so long that I didn't get their spot cultivated in time. It is just one of those years. I love zinnias and the butterflies do to! I just planted a bazillion seeds and then went and purchased even more because I think the birds are eating the seeds. 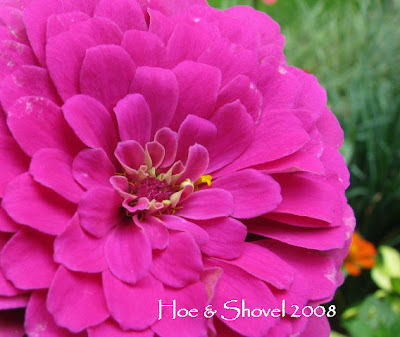 Zinnias are amazing summer flowers and they are so easy to grow. 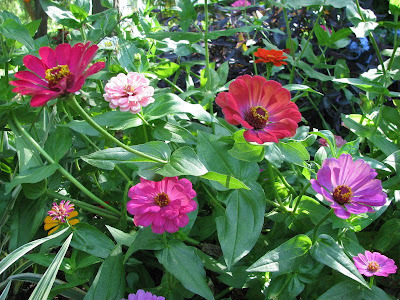 Hi Meems, I planted several packs of Zinnia seeds here in my little garden about twelve years ago. They have reseeded themselves over and over. I consider this flower reliable and my color workhorse. I just wait for them to appear every spring. The arrangements that can be made with them are darling. My friend from Germany calls them "Old Maids." 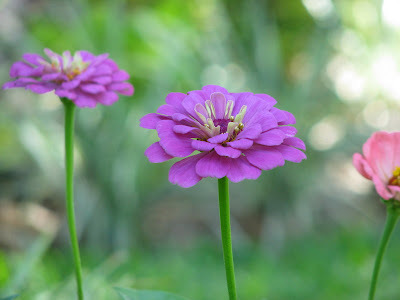 Your zinnia photos are lovely. I grow them every year in my garden and look forward to photographing them. Direct sower here...waiting to see how they do...I hope they like my garden, because I need them as fillers once the daylily time is over. Poppies, I planted a packet of wildflower mix...and got poppies, a first all around and they are so cute. I planted hollyhocks (plants) for my mom and they are blooming, that really makes me smile. 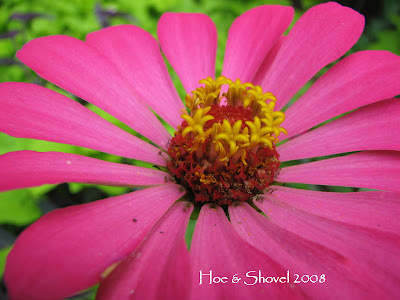 I love getting a close-up view of your zinnias' smiling faces....you really can't help but smile back. gorgeous! and even better in person. glad you had the photos before your computer woes. (that stinks)i love these zinnias. they had so much unexpected colour. Meems, they are beautiful - such wonderful, bright colors. I love zinnias, and have been tempted to give them a try in the sunniest spot in our garden. Uncommonly lovely. Common, no, Well-loved and popular, definitely! Yes, I do lots of experimenting too, with of course, mixed results. I experimented with a new organic fertilizer last week and the results were not good. The tiarellas, the stoplight heucherella, and a few impatiens are very angry with me right now. I hope they recover. Several browalias have decided to register their complaints by up and dying. You are making me feel better about those Envy Zinnia seeds I sewed. They are green and I had to have them. I was very worried about the heat and humidity. I sewed my late cause the move to the new house. Hey--Just wanted to tell you how much I appreciated your comment on my blog. I miss the blog--but enjoy the reading and research more. I'm here at your place and it's more calming to me cause I'm not having to hurry away. Since I'm staying in your garden longer today---I wanted to tell you how beautiful those Zinnias look. I think it would be a good idea to sew in the fall. You sure get a lot of bang for your buck. Those zinnias have tons of color and big fat faces. I love it. Zinnias are a favorite of mine! I grow many varieties, but my all time favorite are the Cactus zinnias, with their large frilly pom-pom shaped heads in many bright happy colors. I try a few new ones each year...this year it's green Envy, Zowie, Scarlet King, and Red Spider. Cut and Come Again is a favorite for cutting and I love the Profusions, especially Apricot. p.s. So sorry about your computer woes....Hope you can get things fixed very soon. Okay, I'm a convert. I haven't grown Zinnias since I was 10 years old. Had I known they were available in Lavender & Fuschia, I would have been growing them every year. Must get some seeds next year. Your zinnias look great, Meems. They'd probably do okay here if I'd actually planted the seeds instead of forgetting them on the shelf! I have some dwarf red ones blooming and hoping for butterflies but bought them as small plants rather than seed. Condolences on your computer problems - our photos are a source of both joy and anxiety, aren't they? So sorry about your hard-drive crash, Meems. But I'm glad you had these photos outstanding because they are so cheerful and colorful. My daughter and I have tried to grow zinnias from seed several times, with not much success. They germinate just fine, and even bloom, with lots of watering. But as soon as we try to ease off on the watering, they shrivel up and croak. Not pretty. I'm not willing to hand-water them as often as they want. Maybe Austin is just too dry for them? I planted green 'Envy' with white Cosmos. I think that will look nice. We'll see! All your pretty colors look so nice in your beautiful gardens! 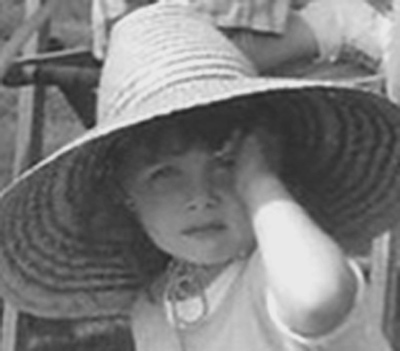 Hi, Meems...I just found your blog a few days ago and I love it! 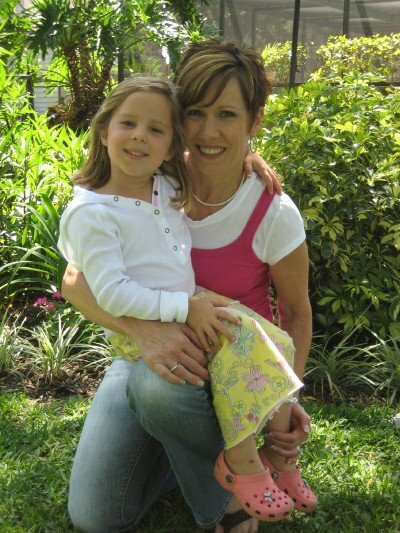 I'm a North/Central Fla. gardener and so much of what you say is useful to me. I'm finding myself on the computer every night trying to read through all the old posts, and see all the pics! Too, too, pretty! Thanks for all the time and effort that surely goes into this blog! It's a real blessing! So happy you left a comment and that you are enjoying the blog. 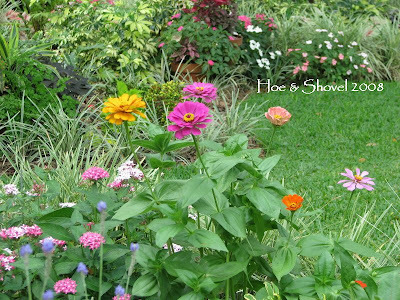 It is my aim to make this a useful site for central Florida gardeners. To answer your question, yes, the camera I use exclusively is the one on my sidebar. Although I just got a very small Canon (elph) Powershot SD1300IS I'll be stashing away in my car/purse for shots while I'm out and about. There may be some photos show up on the blog from that camera in the future. Oh, one more tidbit. Most of my photos from the last 6 months or so are filed in my Picasa Web Albums. Any photo you click on will take you there and each photo has specific information about the camera being used, etc. You will have to click the back button to return to the blog if you so desire. Happy growing.